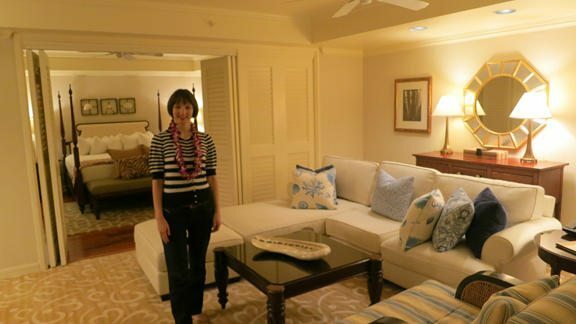 For 3 nights of our 6-night stay at the Grand Hyatt in Kauai, we used Points + Cash and a Diamond Suite upgrade to stay in a Garden View Suite. 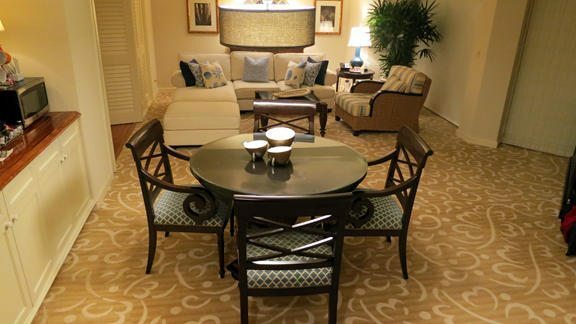 The Garden View suite regularly costs $1,468 per night! But we only paid ~$198 per night ($150 per night + 12,500 Hyatt points per night Points + Cash + $25 resort fee + ~13% tax). So we paid ~$596 and 37,500 Hyatt points for 3 nights. For the other 3 nights we used 22,000 points (old Hyatt award chart rates). The current rate is 25,000 Hyatt points per night. The staff were very welcoming when we arrived. 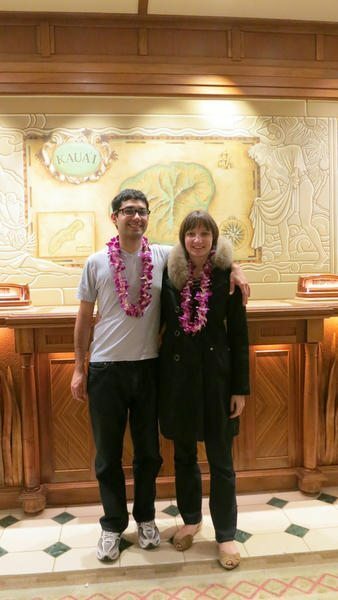 They gave us a lei greeting and whisked away our luggage. 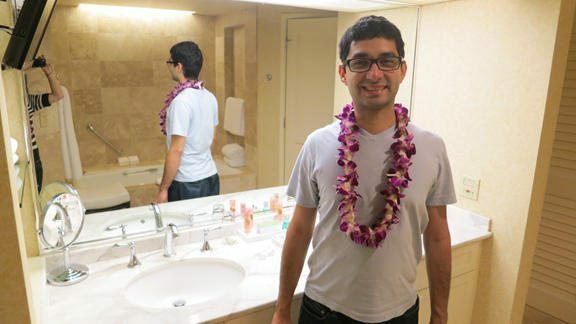 What Better Way to Say “Aloha” Than With a Lei Greeting? The lobby was beautiful. I loved the Art Nouveau details. We were so excited to begin our holiday! 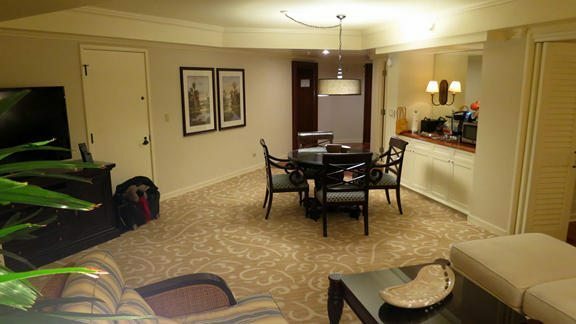 Because Daraius has Hyatt Diamond elite status we used a Diamond Suite upgrade to upgrade our Garden View room to a Garden View suite. 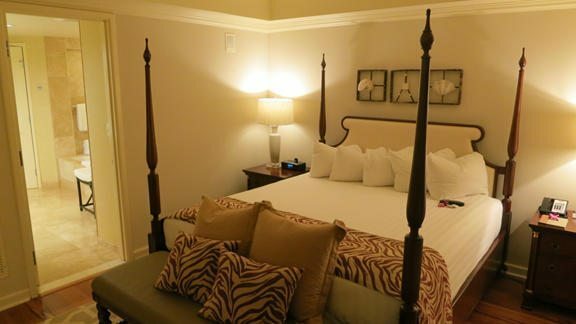 The suite had 3 separate rooms: a living area, a bathroom, and a bedroom. I loved our suite because it was very homey. You could see the living area when you walked in. 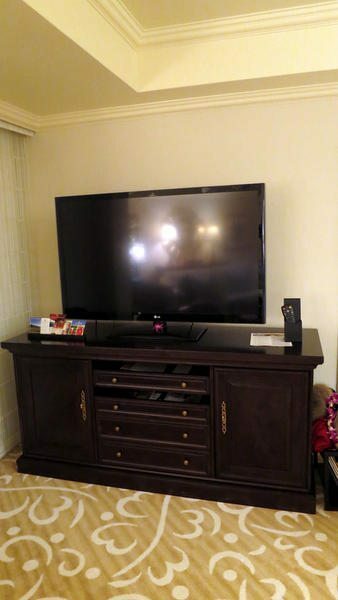 There was a table and chairs, sectional sofa, and a wet bar. The living room had a big flat screen TV. But it didn’t get much use. French doors separate the bedroom from the living area. I could close the doors while Daraius worked. The rooms were bright and airy. And they weren’t cluttered with decorations. We were really looking forward to a relaxing stay. The hotel had lots of activities, but we had other plans. Daraius thought the chairs were very comfortable! 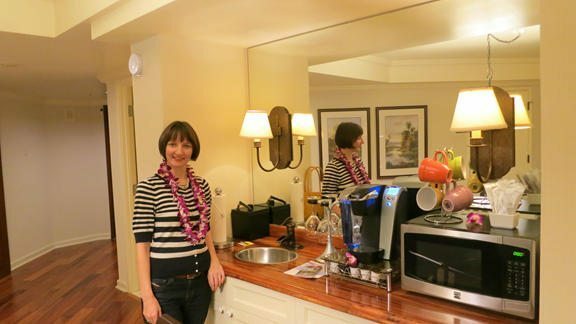 The living area had a bar with a coffeemaker, microwave, and a refrigerator. 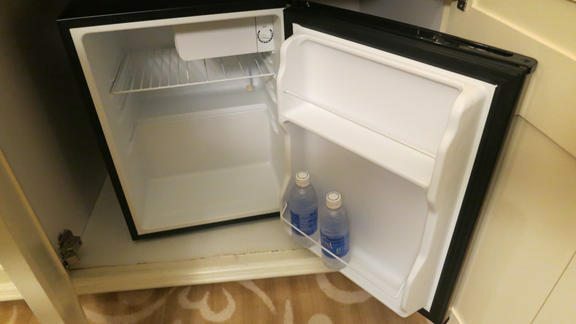 The refrigerator was empty, leaving space for drinks or fresh fruit from Costco or a nearby grocery store. 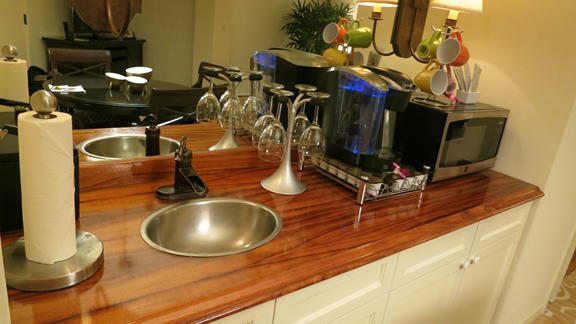 There was also a sink, paper towels, wine glasses, an espresso maker, a microwave, and mugs. Enjoying a bottle of wine would be easy with the wine glasses! 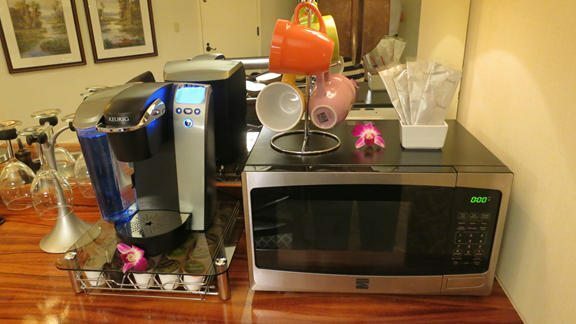 There was Keurig coffee maker with various types of coffee, tea, and hot chocolate. Each day we received 2 free bottles of water. There was a table and 4 chairs, which we used as a desk. There was a large flat screen TV. The living room had a wraparound sofa. It was the perfect size for guests or children. Off the living room, was a patio with a partial ocean view. 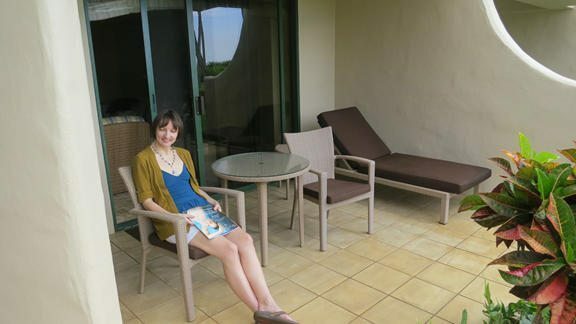 The patio even included a lounge chair. I loved how green the grass was! The bathroom was very spacious and spa-like. 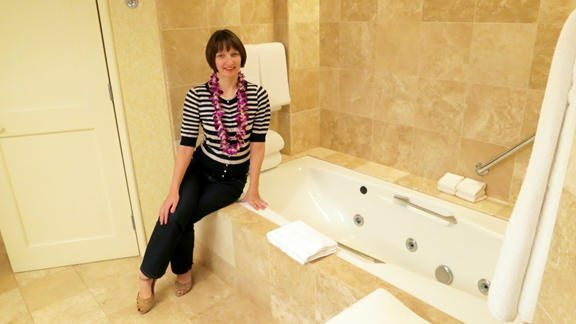 I liked the jetted tub and was looking forward to a relaxing bubble bath. 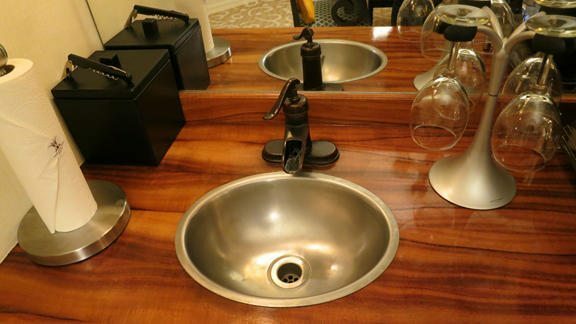 The bathroom had double sinks, lots of counter space, a jetted bathtub, a shower, and a separate toilet room. 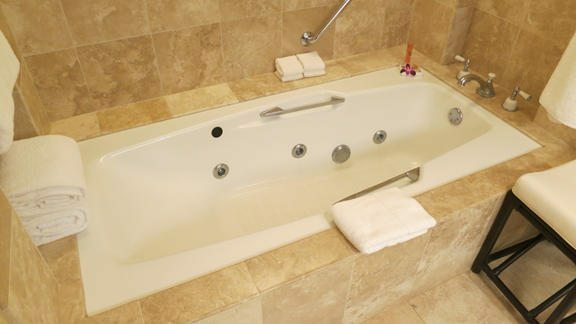 The bathtub was very inviting. 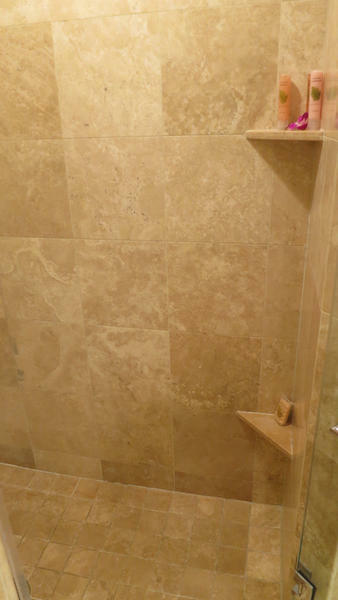 But I was surprised by how small and narrow the tub was. 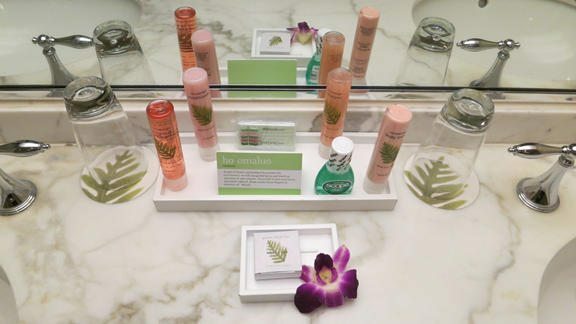 We received Coco Mango amenities, designed by the Hyatt Grand Kauai Anara Spa. There was a walk-in shower. 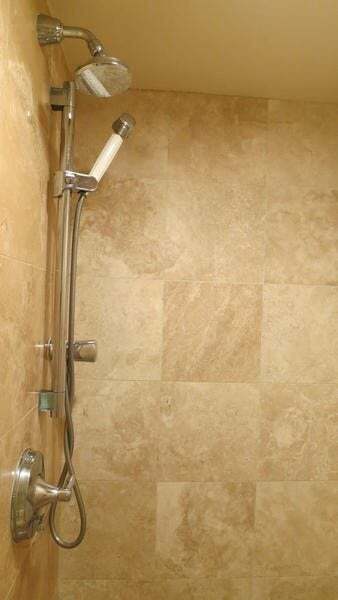 There was a hand shower and a rain shower. 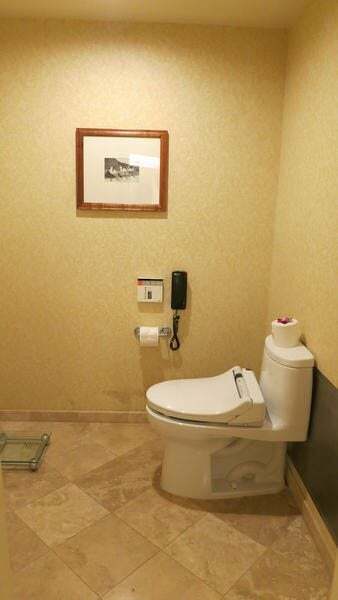 The toilet had its own room. There was a Toto Washlet with a heated seat! The bedroom was a little small but cozy and inviting. The bed was very comfortable. There was a bench at the foot of the bed. The bathroom was to the right of the bedroom. A flat screen TV was mounted on the wall, and there was lots of closet space. 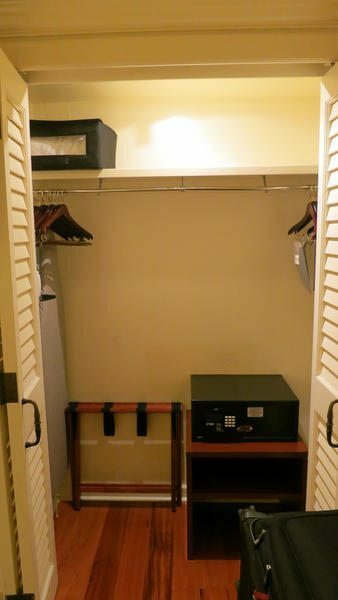 The closet was large enough to put all of our stuff. 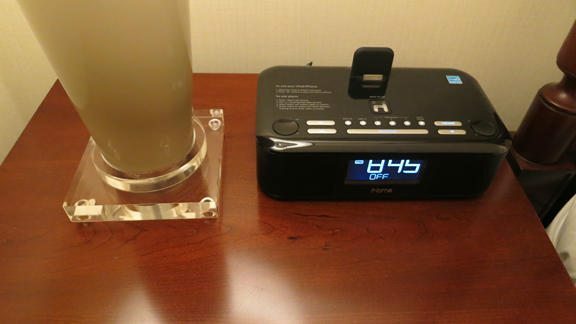 There was also an iPhone charger on one nightstand. Just like Daraius & Emily: 66,000 Hyatt points for 3 nights in a Garden View room, before the Hyatt award chart change. But now it is 75,000 Hyatt points. 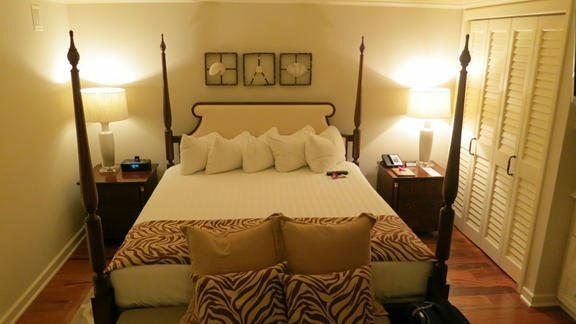 And 37,500 Hyatt points + $596 and a Diamond Suite upgrade for 3 nights in a Garden View Suite. 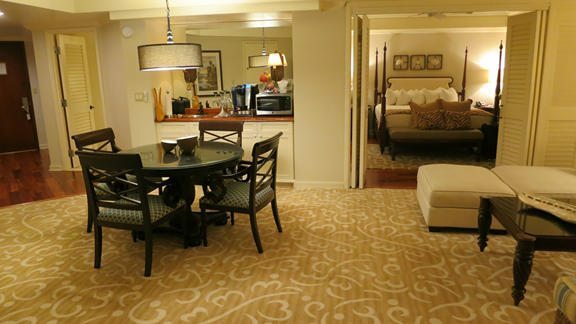 Note: If you don’t have a Diamond Suite upgrade, you can use 6,000 Hyatt points per night to upgrade a paid room to a suite. 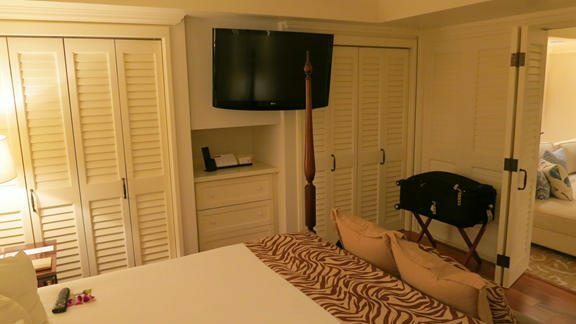 But you can NOT upgrade a Points + Cash room to a suite without a Diamond Suite upgrade. 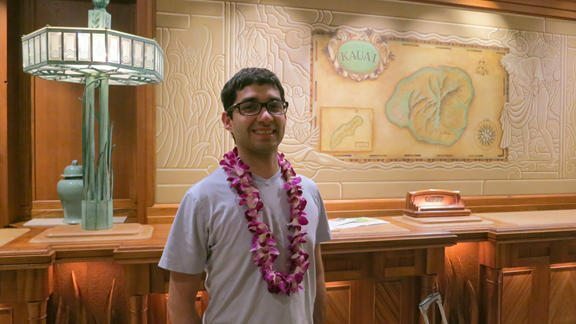 The easiest way to get points for Kauai is by applying for credit cards. Here’s my post on the best way to get Hyatt points. 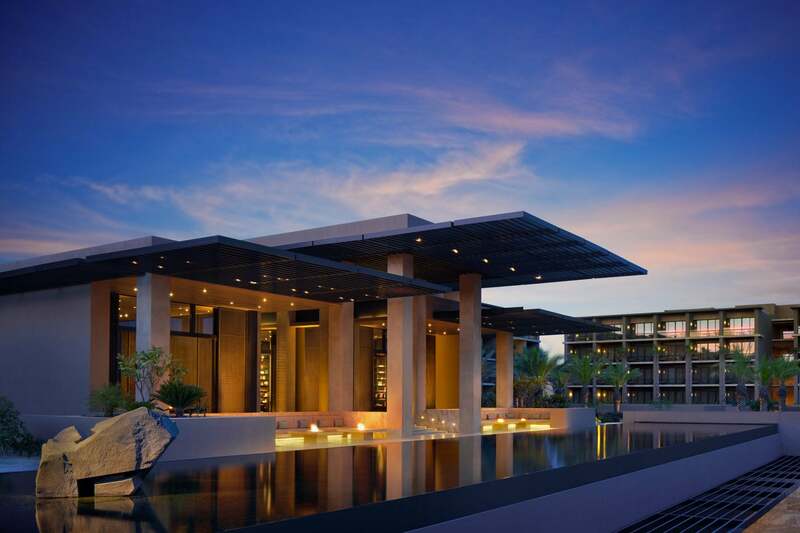 You can save some Chase Ultimate Rewards points and get 2 free nights at any Hyatt worldwide after you spend $2,000 within the first 3 months on the Chase Hyatt card. 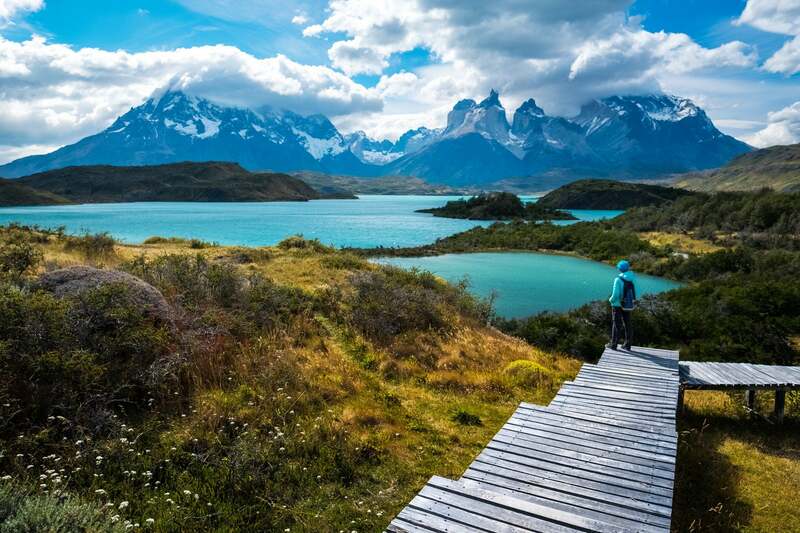 You get 40,000 Chase Ultimate Rewards points when you spend $4,000 within 3 months on the Chase Sapphire Preferred. The Chase Ink Plus and Chase Ink Bold card currently get you 60,000 Ultimate Rewards points after spending $5,000 within 3 months. Daraius and I booked a Garden View Suite using Points + Cash and a Diamond Suite upgrade. The other 3 nights we used 22,000 points (old Hyatt award chart rates) for a Garden View room. Now you pay 25,000 points per night. 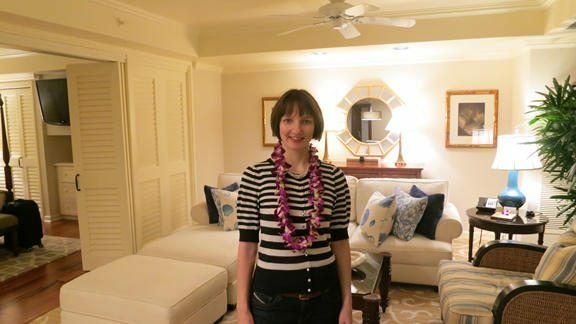 The Garden Suite at the Grand Hyatt in Kauai was very nice! I enjoyed having a separate living area so Daraius could concentrate on his work while I relaxed. 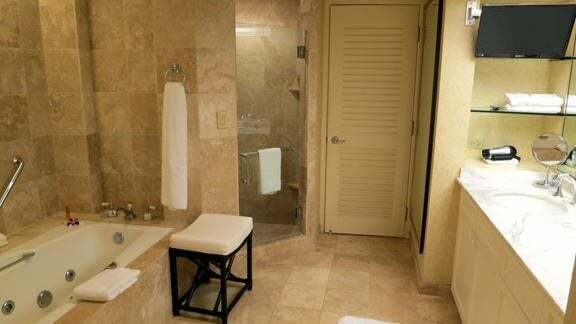 The bathroom was also luxurious, with a jetted tub, full walk-in shower, and heated toilet seat! 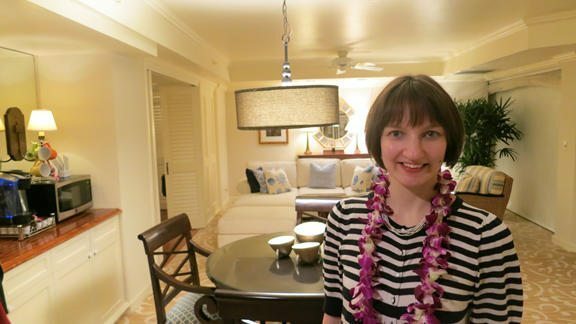 I never wanted to leave the suite, but we had lots of activities planned for Kauai. Stay tuned to see what you can do in Kauai. 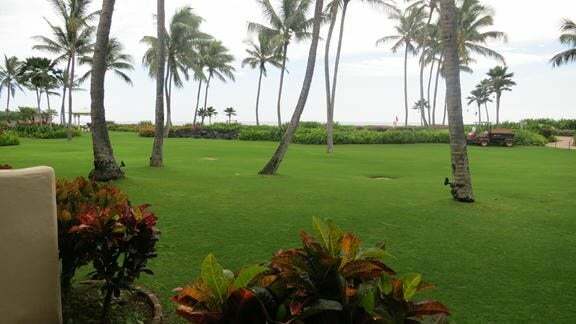 Hi, Thanks for the posting on your Kauai trip, very timely as we are going to Kauai in Sept (8th time there) and still need to find lodging for 2 nights (not enough timeshare points for a full week). 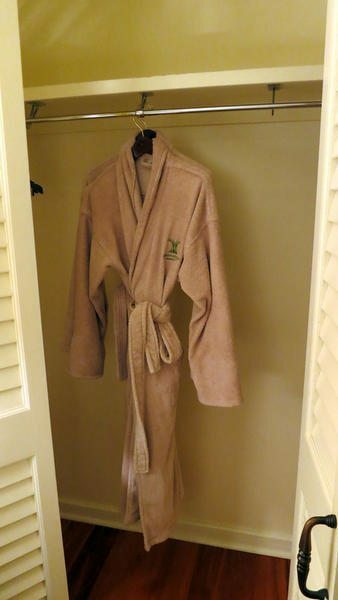 We have stayed at the Grand Hyatt Kauai Resort 4 times (on points of course) and loved it, especially the trip where we also did a garden suite upgrade! We were not sure if we would try to go to the Hyatt this year, but your report has changed my mind and also provided some valuable information on alternative ways to get and use points at Hyatt that I did not know existed. Having been a road warrior from 1986 to when I retired in 2006, I had earned millions of miles/points over the years and taken a lot of great (and cheap) vacations as well. 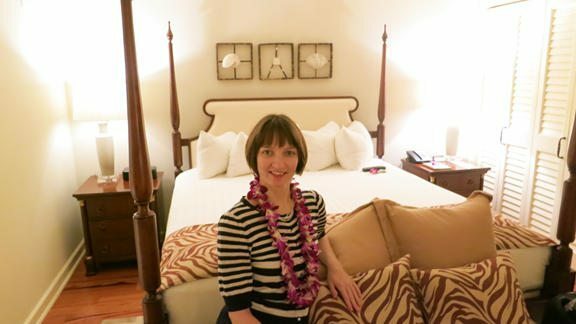 Three of the best “cost to value” vacations were to Hawaii, but those are stories for another time. Since retiring, there has been a significant drain on my miles/points, but I have used airline/hotel affinity credit cards to get some new miles/points. Reading through your Kauai trip report has opened my eyes to some creative alternatives to affinity cards that I was not aware of in the past. I just recently found your website while research for the best credit cards deals and used your credit card information to acquire 3 new credit cards for my point arsenal. My wife constantly rolls her eyes when I get new cards, but she sure loves the vacations we take with the points. I am having her read some of your postings and articles so she can get a better understanding of what/why I do this and to show her that there are other people just like me out there that use the system for their own advantage. Thanks for the information and keep up the good work! @ Sticky- I did wear shorts, skirts, and dresses for most of the rest of the trip! I’m confused about that coat Emily is wearing in the lobby. I know it was February and cold on the mainland….. 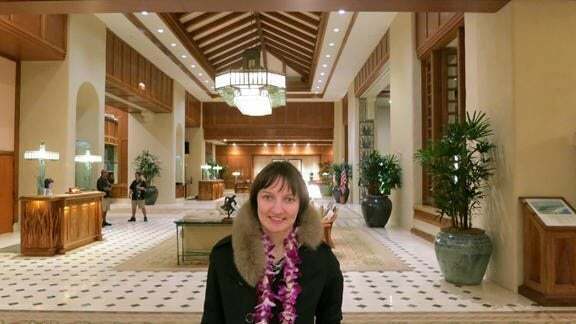 But you are in Kauai! Bust out those shorts. @Kent C – That’s great customer service and hope you have a wonderful time there! I’m not the best photographer or videographer! @T.L.M. Has – I don’t take the opportunity cost in the calculation to make it easier. @Ivan Y – Glad you found it useful! 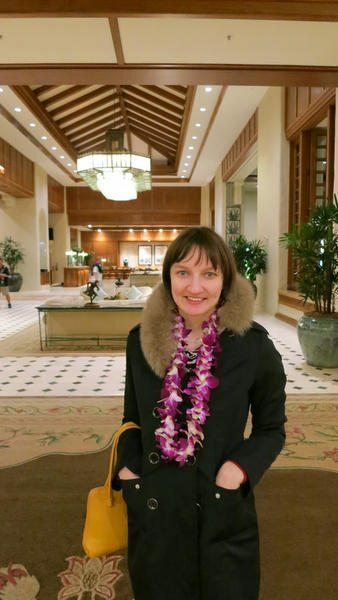 @Sticky – It was cold and rainy in Kauai then! 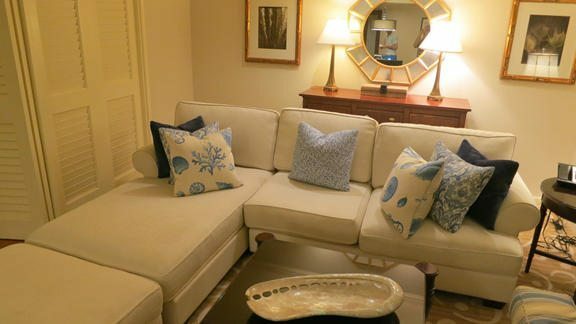 I agree with Kent that it’s very nice to see a proper photo/video walkthrough of a room. It’s amazing that even higher end properties put up just a few generic photos of each room type — if you are trying to upsell me to a better room or a suite, make me want it (this is especially true for a vacation destination).